Here is a submittal from our reader and commenter Ajs32. Another great slice of life piece and this, and the writing that all you others have contributed, is truly what separates the Pitt POV from any other sites. Bar none. My Pitt story isn’t all that dramatic, but it is ironic that I ended up loving the school I desperately did not want to attend. Unfortunately, as time went on, my father began to lose interest in sports in favor of following politics (yuck) and completing home improvement projects, (double yuck) and I became obsessed with the NFL. I was a huge Steelers fan growing up in the North Hills and I also cheered for the Buffalo Bills because Jim Kelly is the uncle of one of my friends. Meeting Jim Kelly, getting autographs from him, and just being in his presence was an awesome thrill. My love affair with the Steelers would quickly end though because in seventh grade, I saved up $60 which was no easy feat and I purchased a Kordell Stewart jersey. My father was less than thrilled with the purchase, not understanding that I would turn into a jersey and autograph junky. 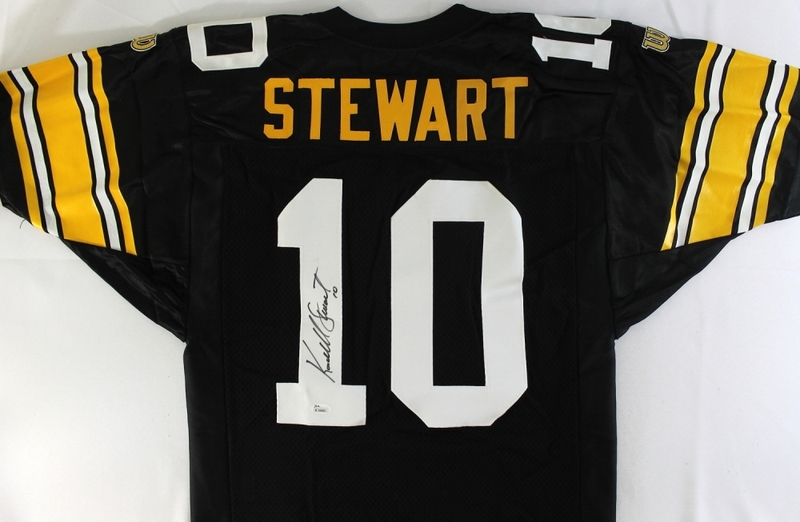 As fate would have it, two months after buying his jersey, I saw Kordell Stewart leaving Lens Crafters at a nearly empty Ross Park Mall with a beautiful blonde on his arm. My mother saw I was in awe and nudged me to go ask for his autograph. As a shy chunky dork with no self-confidence I strolled up and asked him, “Mr. Stewart, may I have your autograph.” He stopped, looked at me strangely, turned and walked away, and I was crushed. From that day forward I never again cheered for the Steelers but still follow the Bills and the Browns, and I turned more toward following college football. In the late 90’s, I continued following Pitt basketball and figured since I didn’t like the Steelers, I would give Pitt football a chance. As an 8th and 9th grader unable to drive to Pitt stadium and having few Pitt games on TV, it was tough team for me to follow. What angered me the most was on KBL, our old Root Sports equivalent channel; they always showed the Penn State football games instead of Pitt’s. 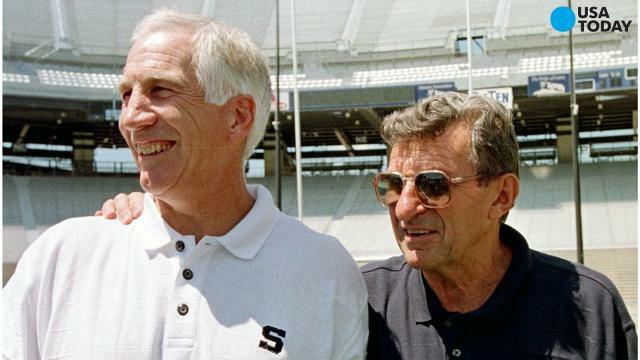 I hated PSU’s uniforms; I thought Joe Paterno looked like a guy that would yell at me for walking on the edge of his lawn, and hell…since I’m from Pittsburgh State College meant nothing to me. On most Saturdays I had to settle for watching PSU beat cupcakes like Bowling Green, Akron, Cincy, and Indiana State all the while hating the Lions while wondering how Pitt was doing in their game. On rare occasions though I did get to see a Pitt game on TV. I remember us losing to Notre Dame sixty something to nine during the tenure of Johnny Majors Part II and I watched the entire game. I also watched Ohio State beat us 72-0 and I hung in for three-quarters. I remember Pitt losing year after year to Syracuse when they had QB Troy Nunes and I began hating the Orange even more. I recall seeing Pitt stars Matt Lytle, John Turman, Terry Murphy, Antonio Bryant, and Jake Hoffert when they were in our uniform. My mother even bought me a beautiful mustard and blue Pitt sweater at TJ Maxx which I fell in love with. Even though it is twenty sizes too small I still have it in storage to give to my son when he is in grade school. I even made my first and only trip to Pitt Stadium with my dad to see us against Rutgers that year… I was hooked. As I was about to graduate from Pine-Richland High School things were bittersweet for me. I finished in the top ten percent of my class; I had saved up a bunch of money by working at K-Mart for four years and I had some very good friends although I couldn’t have paid a cute girl to take me on a date because I was as socially awkward and shy as one could be. I was accepted to colleges all over the country, some of which like the University of Miami who had great football teams so that was where I wanted to go… then reality set in. My father, who is a smart and practical man but often devoid of having fun, sat me down and said, “Miami is a private school and forty grand a year. You are immature and cannot handle being away from home. You will only get in trouble there or get homesick. You are going to Pitt.” I was angry because I knew the old man was right on the money with his assessment and off to Pitt I went. Even though I was a commuter student as an undergraduate and grad student (I worked for PJAX Trucking part-time while paying most of my tuition myself), Pitt completely changed my life. I was academically challenged to the max. I got out of the suburban bubble I grew up in and fell in love with the city of Pittsburgh. Most of all, it was the people I met that made the difference; professors, drinking buddies, people from different states with new ideas and experiences… and the ladies. I don’t know if it was the fact that I lost thirty pounds over the summer after high school and I got a new style of haircut, but I got asked out by a smoking hot girl the very first time I sat in the Cathedral to study in Week One at Pitt. After going through four years of high school with no confidence, and being 0 for 2 in asking out girls, that single act meant the world to me. Pitt turned me into a confident, outgoing person who wasn’t afraid to go after what he wanted whether it be a job or a girl. So I continued my education and graduated from Pitt. I’ve also beat cancer and dealt with countless other challenges which have come my way and no matter what I’ve never stopped loving the Pitt basketball and football programs… and I will never forget how the University of Pittsburgh changed my life for the better. Great story Ajs32! Thanks for sharing it with us! What a great read to start my day! Thanks for sharing. See you at the POV tailgate. This is the 10th Bio article submitted and each one is unique and special. Great stuff. Kordell Stewart was a schmuck. Here’s a young man Capel is looking at and offered. He is also a possible big time WR. Aja – thanks for sharing your Pitt-fandom story. Many of these bios tell me that sports is what attracts many applicants. We want to go to a school we can root for. We can identify with. We want to support a school because we grew up watching them play and have good memories. There’s some association. Some connection that’s positive. Makes us all a big extended family. BTW – my young ones are strictly looking at the academic programs to make their decisions. Care little about the sports experience. Very cold and calculating they are unlike me. I wanted a city school and football tradition. I would figure out my degree over time. Very heartfelt and well told story. Thank you. Maybe because I grew up in an extended Pitt family that goes back four generations and every time I turned around there were conversations about the University with The Good the Bad and the Ugly thrown in that I don’t hold a romantic view of either the school or the sports programs themselves. I kind of like it that way because I can keep a distance to it and not get too emotionally wrapped up in it because I have so many other things going on in my life. But I do love Pitt… always have ever since I was a little child. But the thing is with us Kohbergers it was so much a part of our lives that it there was no other way to live almost. Which is one of the reasons I got out of Pittsburgh and carved space and a name for myself. I wondered, given your deep roots to Pitt and Pittsburgh, why you left. Makes sense. I grew up with a lot of old money families who were friends with my parents and their kids were friends with me and if I was going to make a name for myself was going to have to be outside of Pittsburgh. Everyone I used to hang out with we’re shocked when I joined the military and they were even more shocked when I went past four years and didn’t come back home and marry the old girlfriend. But you know, I found my niche…I found a wife and I found a calling so that’s what I did for 33 years. Ajs – thanks so much for sharing your story. And congratulations on the fight with “C”. See you ate the POV tailgate? Thanks for the great article Ajs!!!! Off topic. Somewhat of a basketball tie in. Rockport – the shoe company, not the coach – filed for bankruptcy a week or so ago. Given the lucrative buyout, Rockports (the coach, not the shoe company) will likely be wearing sandals on the beach and will not need to sell Rockports (the shoes…). Was for UPitt for sure BigB! The ‘rockymtnhigh’ name that I use was derived more from the John Denver ‘rocky mountain high from the beautiful scenery’ meaning than from the modern day ‘pot is legal’ kind of thing. Not that I mind your change. I love these bios…3 more in the queue… Wait till you read Ike’s. Ajs32 nice article. Good read. Rocky… I love John Denver and his music- all of it… just having a little fun ! Cool! and that’s the way I interpreted it! i recently watched a documentary on JD. Interesting stuff. We paid for PNC park just like Heinz. The pitt baseball team should get the right to play 10/15 games a year there. And Pitt continues to get its asses kicked in recruiting. PSU announcing two 4 stars and 1 5 star recruit. And from Pitt….crickets! Most recruits sign in June and season end. But Pitt has none. Always struggled with early signees. And can’t land the number of needed four and five stars. So what can Pitt do besides winning? Well to win you need the elite players. Coaching and scheme only goes so far. My plan would be to leave narduzzi out of the process. He’s obviously incapable of selling. Hire coaches that can recruit. Tarp off those yellow seats and make a football venue part of Victory Heights. Real simple. Glad we play State Penn only once more. I make em 10.5 faves on Sept. 8 th. It’ll be much worse the following years. Reed is right. There is something terribly wrong with DuzzS recruiting. and a btw for all my buds on the POV as a public service announcement. This thing works! Buy a couple… I did have a [power outage awhile ago and nearly lost my small mind. No problem. Hooked up my cell phone and my blue tooth speaker that needed some juice and we rocked the night away..
“Fundraising for this project came in many forms, including donations from industries, corporations, individuals and foreign governments. To raise public views of the Cathedral, and at the same time finance the construction, Bowman started a fundraising campaign in 1925. Buy a brick for Pitts new athletic complex. Includes new football stadium, indoor track, athletic offices, Rec center for students, weight rooms, venue for wrestling, volleyball and gymnastics, office and retail space, new swimming facility and parking garage. All for $100. Because there’s been some inflation since the Great Depression. Issue 300,000 tickets to fans. That’s $30 million dollars. A nice down payment for a $600 million facility. Paid for in bricks. The bricks for Sutherland courtyard. Something just seems smelly to me as how slime ball James Franklin gets all these blue chip recruits while Duzz gets cow chips! All the big boys are slimy in their own way. It’s how college recruiting works. That said, as we’ve discussed on here before, Duzz doesn’t come across as not having the greatest personality and speaker, while Franklin sounds like he could sell some top quality snake oil. On the lighter side a positive rage on Pitt FB recruiting. Ajs32, appreciate the honest self awareness. Ajs32…. well stated. Nice story. Anyone think Franklin will recruit 50 to PSU this year? With limited scholarships all schools are under the gun to recruit good players each year. There will be be plenty of quality players available when PSU, ND Alabama and OSU gets their scholarships filled for the 2019 class. And yes Pitt will have to be content with the leftovers in almost any year. Being able to sort through the leftovers and finding the hidden 4 and 5 stars will make or break Pitt football over the coming years. Crazy busy at work so I’m getting behind in reading but really enjoying the personal stories and Reeds podcasts. Retiring in mid July so at least I will have time to read again. Look no further than Pitt not being able to land 5 star OL Johnson, yet. We need him to sign early. The longer he waits, the more apt we are to lose other potential 4 and 5 star recruits. Yes, I said that. When a program signs a 5 star early and that 5 star turns into a recruiter, the better players will come. Millennials want to be a part of something special. A great recruiter understands what makes a 16 and 17 year old tick. There should be mandatory training for all sports recruiters into the psychology of teenagers. That is how you start to gain a competitive advantage. Someone made a comment about the big programs filling up their rosters early with 4 and 5 star recruits and they do that very well. That is only the beginning of the game however. Those same schools will stop hard selling a 4 or 5 star recruit if he slips in the rankings or has a bad year, if the kid doesnt sign in the early period. Think Sibley. The reason that OSU and Alabama were against the early signing period is because their 4 and 5 star kids might not be all that and they get stuck with an underperformer. In years past, the kid would have to wait until Feb to officially commit which would allow the team to over-recruit for a better prospect and not show the love to the underperformer. The early signing period may actually help Pitt in recruiting as 4 star sophomore and junior often fizzles. The big programs will be stuck with them during early signing. What will hurt Pitt is the late bloomers. The big programs will always make room for late bloomers and can now put on a full court press for those players because they already have an early siging group in the bag. Would everyone feel better if we had five 3 stars in the fold already? It would be the same complaining. If we are going to target three stars, which is fine, schedule to them. Don’t recruit 3 stars and have a 5 star schedule. Our AD and prior AD’s didn’t get that. Know your programs limits and schedule accordingly. Win for a few years and the recruits will follow. See paragraph 1 above about psychology of teenagers.